This barrel cleaning product is used to sweeten and clean oak barrels. Barolkleen removes harsh tannins from barrels. 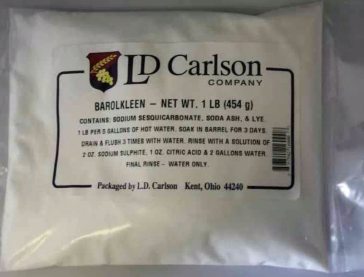 Use 1lb of BaroKleen to 5 gallons of water. You're reviewing: Baro-Kleen - 1 lb.